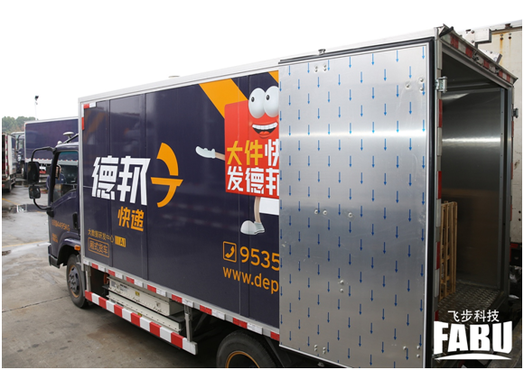 China Post and Deppon Express, a Chinese logistics company, plan to begin using autonomous vehicles for daily package delivery next month with a fleet of delivery trucks developed by FABU Technology, a Chinese artificial intelligence (AI) company. The launch follows an intense trial period which started in November last year when FABU partnered with China Post and Deppon Express to begin testing Level 4 autonomous driving trucks in China’s heavily populated Zhejiang Province. In Level 4 autonomous driving, the car handles the majority of driving situations independently although a human driver can still take control when needed. During the testing, the self-driving trucks averaged 40-mile daily round trips along three different routes, with one delivery route passing through 50 intersections, 26 of which were controlled by traffic lights. The trucks drove both in daylight and at night, and on highways, through tunnels and along residential streets filled with pedestrians, schools and flea markets, a FABU Technology release said. In total, the autonomous trucks drove over 2,200 miles and delivered over 60,000 parcels during China’s peak shopping season, which includes Singles’ Day, Christmas and Chinese New Year. China Post currently has a fleet of 39,000 transport vehicles that help to cover a delivery network of more than 1.9 million miles. The postal authority did not specify how many autonomous vehicles it would begin using in April. According to global management consulting firm Bain & Company, China has become the world's biggest road transportation market. And the nation's road freight has amounted to 6.1 trillion metric tonne-kilometres with a fleet of more than 5 million heavy-duty trucks and over 14 million light and medium trucks.